OC Global handles every phase of architectural projects, from preparing concepts and designs to construction supervision and project management. The facilities built include those related to education, health, culture, and tourism, as well as for the public and private sectors. OC Global aims to contribute to creating a fulfilled society through architecture. 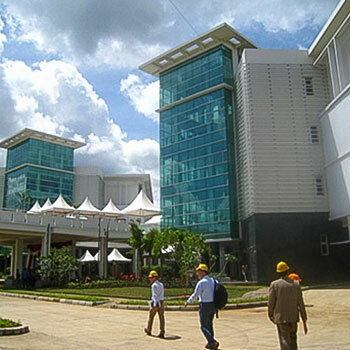 OC Global’s Architecture Department draws upon global resources to provide clients with end-to-end tailored services from project formulation, architectural design, tendering and construction supervision to facility management, as well as project management services in the overall life-cycle of architectural projects. OC Global provides client-focused service based on our extensive knowledge from long years of experience while also utilizing our worldwide network. We also contribute to comprehensive urban and transportation planning and development, tourism development, and disaster mitigation and management planning through coordination with other sectors. We are recognized as experts especially in responding to the needs of urban development, transportation planning, railways, ports, airports and tourism development, as well as disaster mitigation and security planning. OC Global is distinguished in architectural design, responding to the needs of the clients and end-users based on a thorough study on the function and purpose of the buildings, indigenous cultures and customs, the relevance to the urban development and environment, as well as sustainability, life-cycle, and feasibility studies.